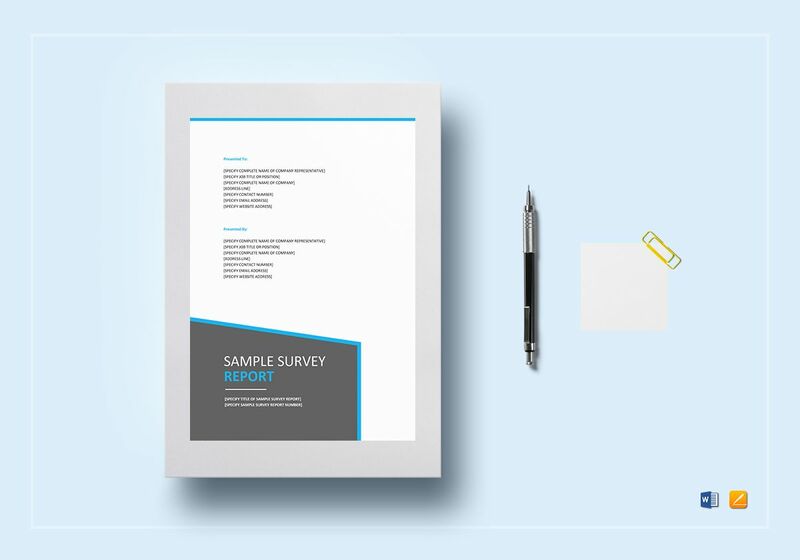 Here’s a template that would guide you to make a professional and informative survey report for your company or organization. 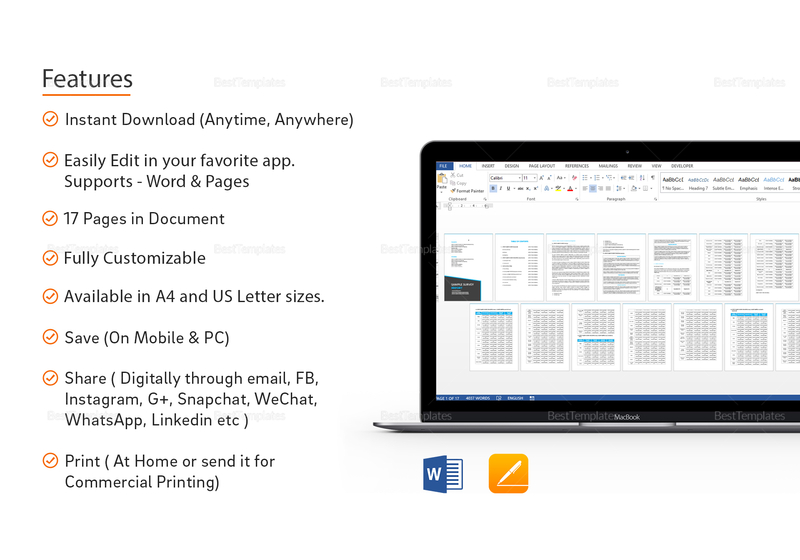 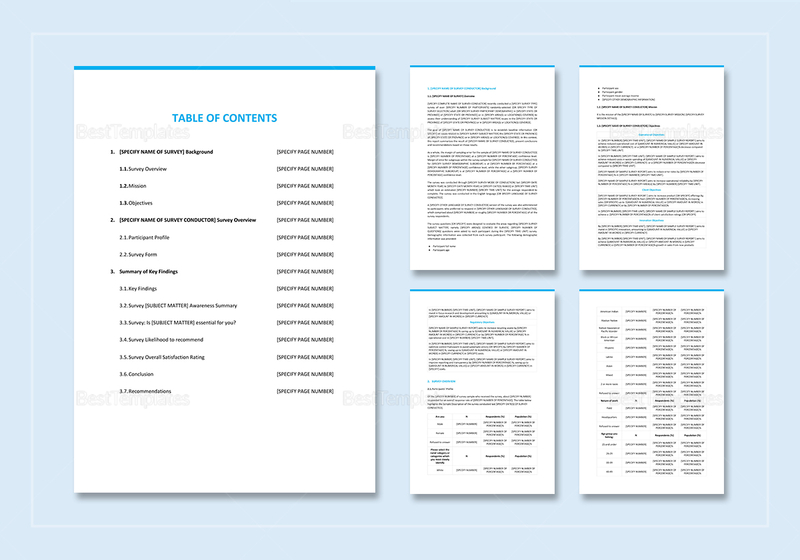 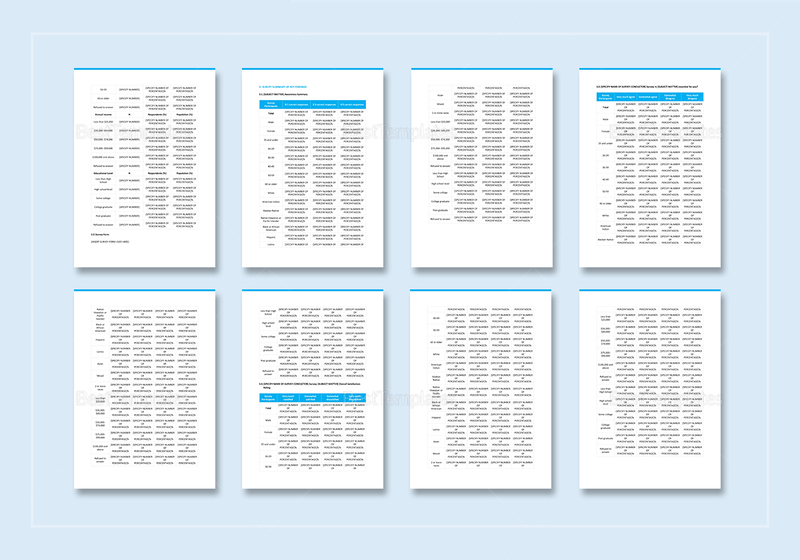 This 18 page document is easy to edit and highly customizable with all versions of MS Word and Apple Pages. 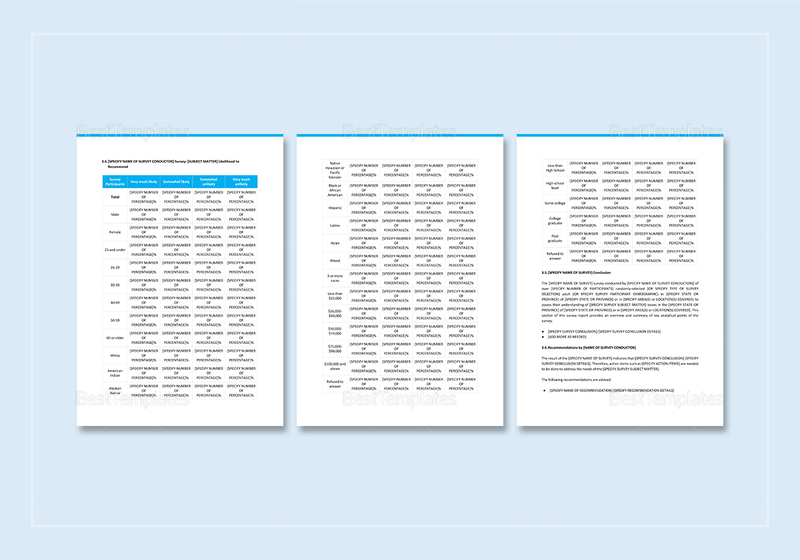 Easy to download and save on your PC or mobile device.